« Fractional flow reserve : A sinking concept ? 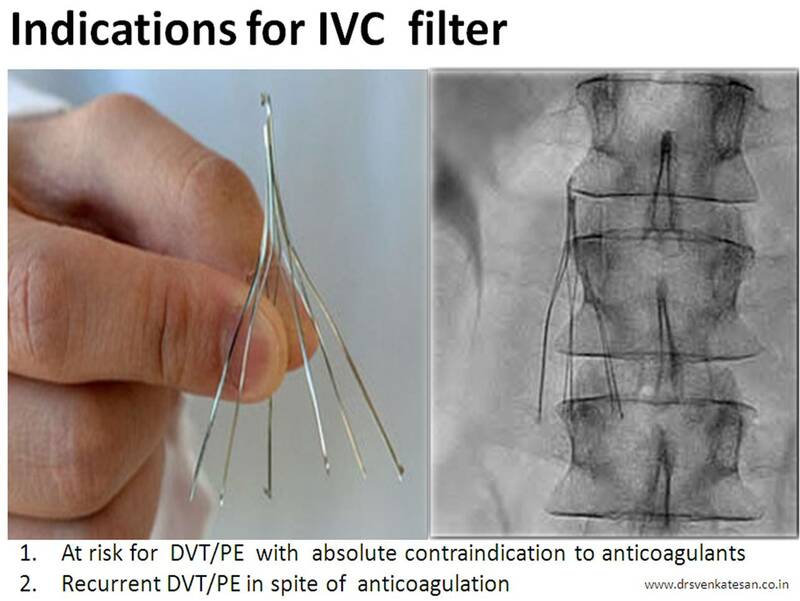 IVC filter usage has increased many fold in recent years.Please note , it is not indicated in every case of recurrent DVT/or PE. There are specific indications. Patients at risk for DVT /PE with absolute contraindication to anti-coagulants. 1.PREPIC Study Group.Eight-year follow-up of patients with permanent vena cava filters in the prevention of pulmonary embolism: the PREPIC (Prevention du Risque d’Embolie Pulmonaire par Interruption Cave) randomized study.Circulation. 2005 Jul 19;112(3):416-22. Good stuff. I agree with you. Sometimes physicians are seen doing things because they find indications for the procedure rather than seeing if it is really indicated for the patient. I really enjoy your articles and your opinions. Keep up the good work. Thanks.